The City of Centennial is a Home Rule Municipality located in Arapahoe County, Colorado. 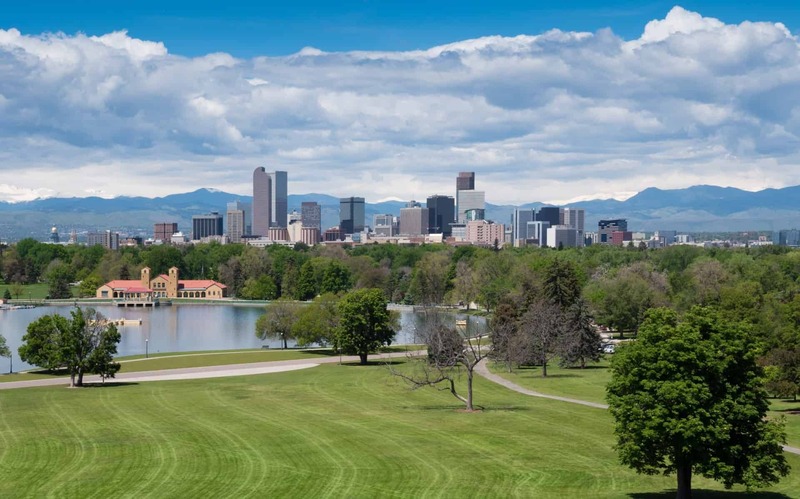 Centennial is a part of the Denver-Aurora-Lakewood, CO Metropolitan Statistical Area. Centennial is the tenth most populous municipality in the state of Colorado and its 2001 city incorporation was the largest in U.S. history. Centennial is ranked as the 15th-safest city in the country. The City of Centennial was formed on February 7, 2001, from portions of unincorporated Arapahoe County, including the former Castlewood and Southglenn census-designated places (CDPs). The citizens of the area had voted to incorporate on September 12, 2000, choosing Centennial as the official name during the vote. The name reflects Colorado’s admission to the Union as the 38th state in 1876, the centennial year of the United States Declaration of Independence. The state of Colorado is nicknamed the “Centennial State”. Incorporation was approved by 77% of the voters, and the population of the area at over 100,000 made it the largest incorporation in U.S. history as of its creation. The city was incorporated in large part to prevent further annexations of unincorporated areas by the city of Greenwood Village in an attempt to improve its tax base. The taxes generated from businesses in unincorporated portions of Arapahoe County funded the majority of the county’s services, including road work. A number of court cases eventually established the right of incorporation to take precedence over the right of annexation. The city was incorporated on a promise to keep city taxes at 1%. (One of the campaigns against incorporation appealed to voters to maintain the 3.8% sales tax of the unincorporated county.) According to the City of Centennial website, the current sales tax rate is two-and-a-half times the promised rate, at 2.5%. Since the city is relatively new, some people in the Denver-Aurora metropolitan area do not yet recognize the area by the name “Centennial”, especially since neighboring Aurora, Englewood and Littleton are the default place names assigned by the United States Postal Service for ZIP codes serving Centennial. Thus, mailing addresses designated as “Aurora”, “Englewood” or “Littleton” may actually be located in Centennial. This causes considerable confusion, as Centennial and Englewood do not even share a boundary, while some portions of Centennial are surrounded by Aurora and vice versa. The city recently held a home rule charter convention where a new charter was adopted. The new charter was approved by voters on June 10, 2008, by a ratio of 2-to-1. Centennial Airport, formerly Arapahoe County Airport, lies adjacent to Centennial, but is located in unincorporated Arapahoe County. The airport is not named after the city, as it predates the city by over 30 years. Centennial is roughly divided in half by Interstate 25, with most of its business and entertainment centers lying west of the highway. The city’s boundaries are highly irregular and evocative of a gerrymander, particularly the overwhelmingly residential eastern portions of the city, which appear with Foxfield, portions of Aurora, and unincorporated areas as a distorted checkerboard on a map. Centennial has many hills, gullies and ravines, and its open spaces are usually accompanied by recreational trails and parks, including Dry Creek Dam, DeKoevend Park, the Highline Canal Trail, Willow Creek Trail, as well as Big Dry Creek and Little Dry Creek Trails. Centennial hosts most native wildlife and is a good reflection of Colorado’s front range ecosystem. Centennial has seen a boost in coyote populations in recent years, leading to resident education on how to deter coyotes from eating family pets. National CineMedia and United Launch Alliance are among the companies based in Centennial. Most of Centennial is within the territory of the Cherry Creek Public Schools while the western portion of the city in the territory of Littleton Public Schools. Centennial is also served by a few private schools. The city is governed under the council-manager form of government which limits the power of the city to levy and collect taxes. The city council has eight members. The Mayor and Council Members are all part-time officials who hold other full-time jobs. International Headquarters for Gamma Phi Beta sorority are located in Centennial. Gamma Phi Beta was the first women’s organization to use the term “sorority”. On September 10, 2008, it was announced that Centennial had been chosen as the site of the first IKEA store in Colorado. The IKEA Centennial location opened on July 27, 2011. It is the second-largest IKEA store in the United States. On October 7, 2011, IKEA Centennial was awarded the Project of the Year by the City of Centennial.